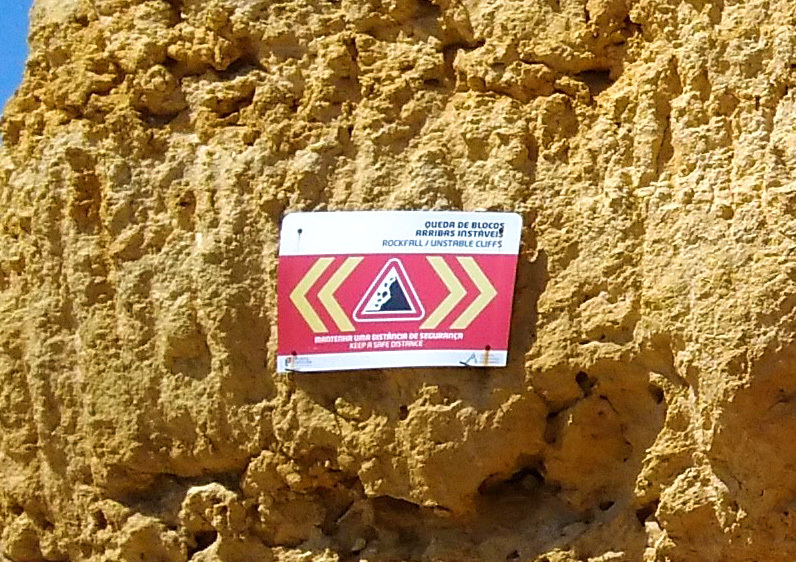 Since many of the beach users have been disregarding the warning signs about the danger of possible cliff collapsing, authorities will now impose new rules and penalties to those who won’t respect the minimum safety distance when laying on the beach next to any rock formations with these warning signs. If you are caught placing your towel or personal belongings and remaining within a few meters from the dangerous designated areas you could be identified by local authorities or lifeguards and prohibited to stay and to come back to any beach in the area for a period of at least 7 days. This new rule has been approved across the region and starts today. It will be put into practice until the end of the bathing season. 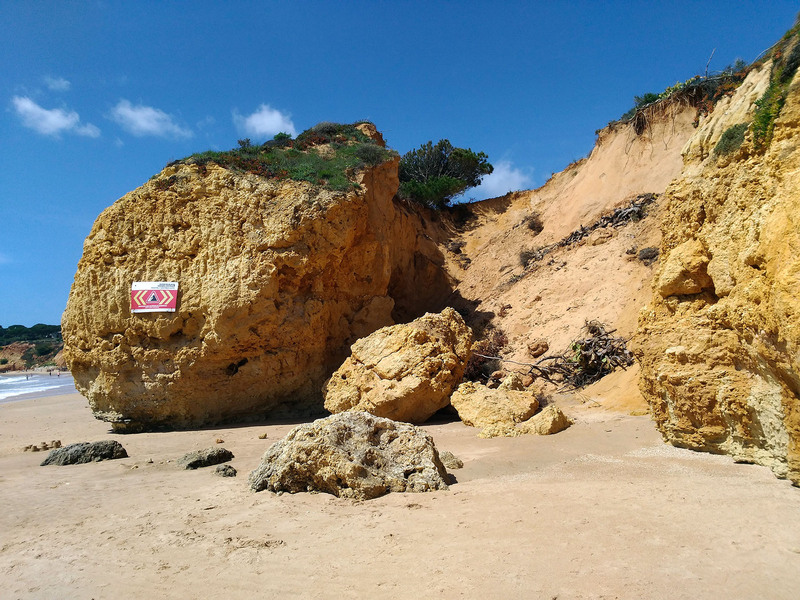 We strongly recommend people enjoying the beaches in the Algarve to look out for those signs and follow instructions if you don’t want to be banned from accessing the beach during your holiday. You have been warned. And he WELL, wearing a pair of shorts. Admin why not fool us with the camera on the strip has been re-instated. This was of course an April fool's joke. No such rule has been passed or even discussed (as far as we know). Still, we'd like to remind people that there is a real danger of staying close to the cliffs with those signs on. There is definitely a chance of some collapsing, and it doesn't happen only at night or when there's no one around. 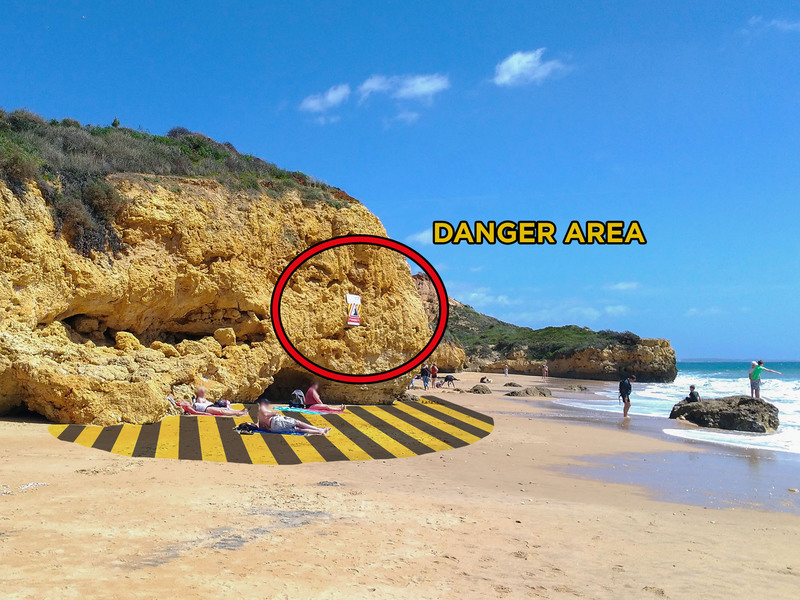 A few years ago, 5 people lost their life on a beach in Albufeira (Maria Luisa Beach) due to part of a rock formation falling on them without warning on a summer day. So please, do follow the instructions and stay clear of the danger areas. Have a great stay in Albufeira! You got me! I took it in completely. Well done. In parts of France if you sit where the signs tell you not to, chaps from the Police Nationale ask you to move along please, and sometimes not nicely. Not such a bad idea perhaps, to protect people from their own stupidity and save a lot of work and grief later. I finally realise why most locals in both Spain and Portugal and Greece always sit near the water . We used to joke it was because they did not like walking down the beach and every one looking at them. But it makes sense now they wanted to avoid rock falls. Being townies we would not think about cliffs collapsing. Always follow the locals example so long as its sensible that is.